and its amusing and slightly vulgar side – I once had a Dymkovo whistle in the shape of a clay horse with its bum as the mouthpiece, and a Bogorodskoe wooden bear that a little man whacked on the bum when you pulled the lever (I assume this was supposed to represent being beaten with birch twigs at a banya but I’m not convinced that’s ever necessitated bending over like that). Both of them, sadly, seem to have been lost in one too many moves. 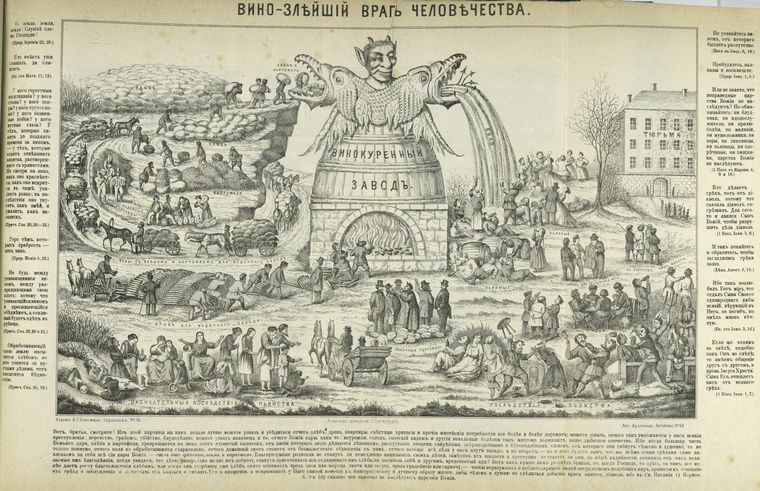 Anyway, following on from last week’s post on those amazing traditional wooden houses in rural Russia, some more websites on Russian folk culture. 1. 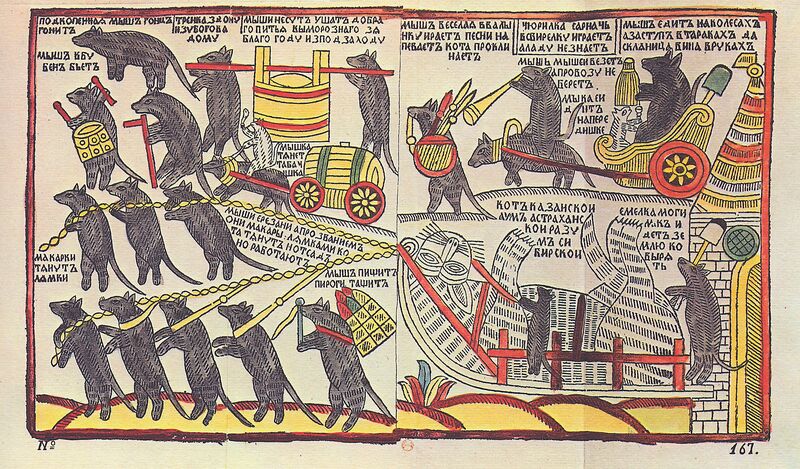 Russian folk art. 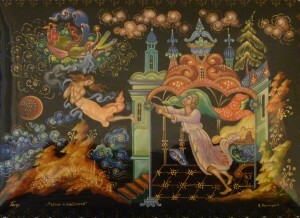 A good site covering many aspects of Russian folk art. 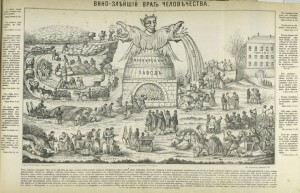 It features fairytales, byliny (traditional epic narrative poems) and folk works by famous Russian writers such as Pushkin, lacquered boxes from Palekh, Gzhel ceramics, Khokhloma wooden decorative arts and Bogorodskoe sculpted wooden animals, all nicely illustrated and with informative texts. 2. Vyatka clay toys. Also known as Dymkovo toys, these were initially made as whistles for peasant rituals, then became toys after the magic had worn off. There are some lovely illustrations on this blog post, plus links to sites that have instructions on making your own Vyatka toy. Lubki started in the 17th century and lasted until the revolution. This site has lots of information and examples. 4. 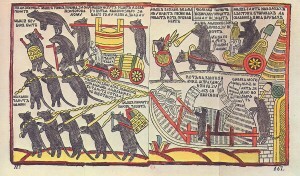 Ivan Bilibin’s illustrations to Russian folktales. Whenever I’ve visited the Russian museum in St Petersburg and reached the early 20th-century and avant-garde paintings, I’ve always felt their proximity to the traditional decorative arts at the other end of the museum. Bilibin, who worked with the Mir Iskusstva group and the Ballets Russes, shows the influence of Russian folklore and fairytales to an even greater extent than most of his colleagues. This illustrations and discussion in this post also give a good idea of his work.